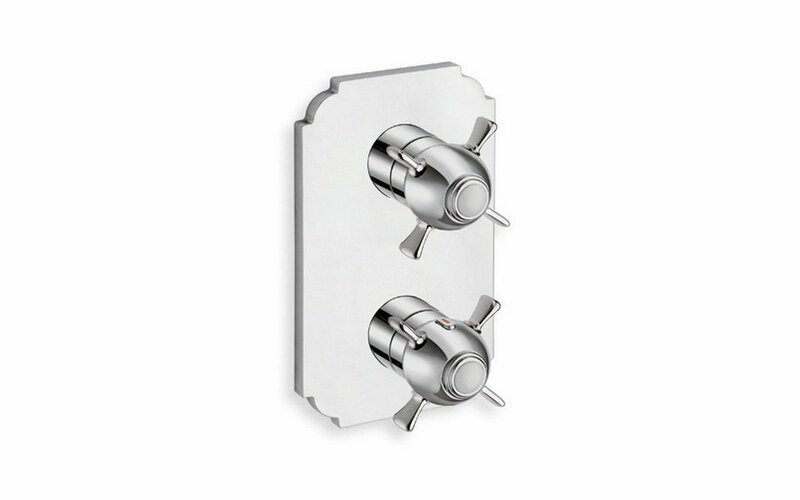 The stylish Retro-2-752 High Throughput Thermostatic Valve with Built-In Diverter and 2 Outlets has been designed for universal application across a wide range of bathroom decors. 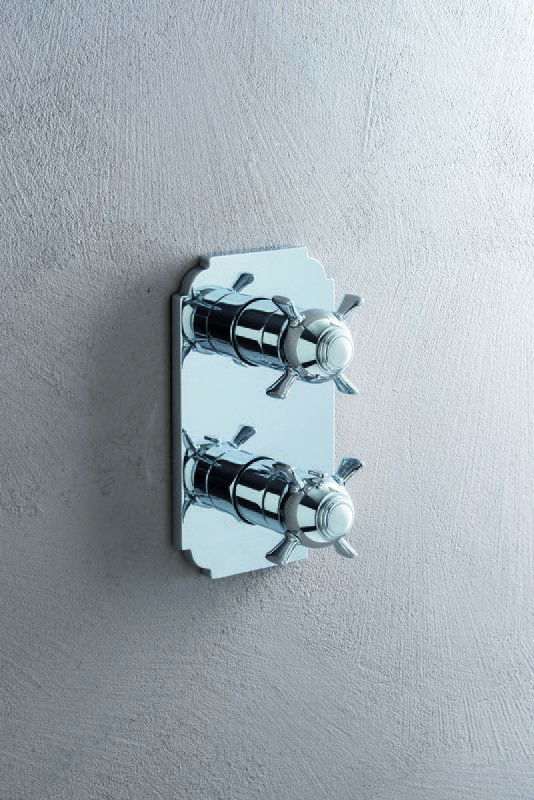 The pure, simple lines and crisp chrome finish of this one-piece unit will sit well with both modern and more traditional baths and showers. 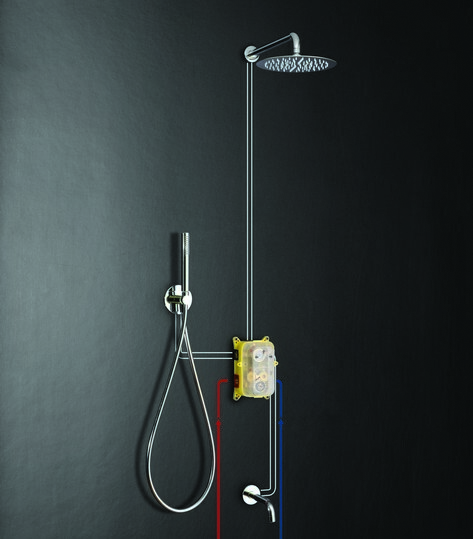 The design incorporates an easy-to-use temperature and flow control with 2 outlet shut-off valve. The mixer sits on a neat ajour plate that is 7.75” x 4.75” (200 x 120 mm). 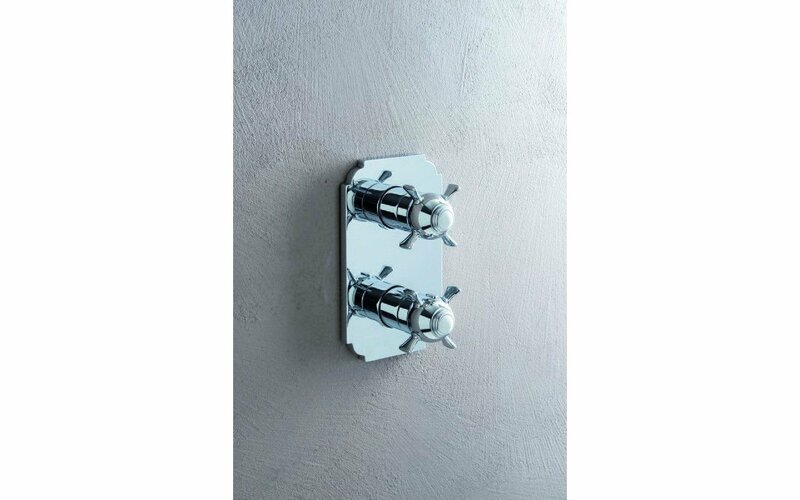 The whole piece is stunning in its visual simplicity and understated elegance.